Baldor-Reliance's line of Unit handling motors are designed for a wide variety of applications in baggage handling, conveyors, packaging equipment, machine tools, hoists, elevators and door openers. 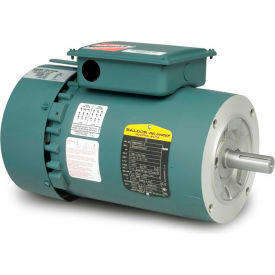 These motors are available from stock in ratings of ½ HP thru 10HP (56 thru 215T frames) with or without Dodge D-Series brakes. Features include an oversized top mounted conduit box on 56 & 140T frames that provide easy access for making connections. Footed frames include slotted feet for easy mounting. Unit and baggage handling, conveyors, packaging equipment, machine tools, hoists, elevators and door operators.